First things first… don’t forget you just have until FRIDAY (yep, tomorrow) to enter to win my Shared Joy is Double Joy poster (take a sneak peak at it here) as part of my new fancy-shmancy blog design celebration week. All you have to do to enter is to 1. sign up to receive blog posts via email or RSS AND 2. leave a comment on any post this week. It’s that easy! A random winner will be announced next week. Many of you remember the cleanse I did a while back. It was the first time I’d ever done anything like a cleanse — before that I didn’t think that anyone could survive on fruits and veggies alone. Amazingly, I made it through the cleanse without passing out, getting angry or raiding the 7-Eleven down the street like a ravage wolf. Even more crazy was that I enjoyed it. I felt good, healthy, happy and strong. I shocked myself by drinking a smoothie — the very smoothies I was SO tired of — the day after I finished the cleanse. Smoothies are the easiest way to get a lot of fruit and veggies in my day so I’ve actually kept drinking them. Not every day, but almost every day I mix up a smoothie for breakfast, lunch or a snack. I even put the fiber and SP Complete powders and spinach in my smoothies, only now with the added bonus of almond milk. I got used to my smoothies not being super sweet so I still use water instead of juice. Who’d have thunk it? I didn’t discover any food allergies while on the cleanse or in the days after the cleanse, but I did come to realize that I have one super annoying sensitivity…to sugar. At first I thought maybe I couldn’t handle sugar since I hadn’t had any in 3 weeks, but it’s been almost 2 months and I still get a stomach ache when I eat lots of sugar (as in more than a taste). Bummer. Honestly, I think my stomach has always struggled with sugar intake. As a kid I couldn’t go to a party and eat ice cream and cake without getting sick to my stomach. I thought maybe I’d grown out of it, but after taking a break from sugar in my diet, it’s become apparent that sugar and I just don’t get along. Don’t get me wrong… I keep trying. Frozen yogurt…. cookies… pastries… all of them are ok for a taste but after that, stomach ache. So what do I eat other than smoothies? Well, I like to think I eat pretty normally. I still eat bread, although WAY less than I used to. I still eat meat, but not every day, and while I’m not afraid of dairy, I don’t crave cheese like I used to. What is different is the quantity of grains, meats and dairy that I eat. I came to discover that I didn’t love these things as much as I thought I did and I don’t really miss them when I skip them for a few days. I eat a lot of whole foods — brown rice, quinoa, fruits, veggies and nuts. I’ve swapped my lunchtime sandwiches for salads or plates of veggies with hummus, apple wedges with peanut butter and a slice of cheese. For dinner… like I said, nothing too unusual but I do make an effort to make the veggie to main part of the dish instead of just a side. I still eat spaghetti over zucchini and mushrooms more often than pasta, and I still make my salad dressings from scratch (they just taste SO much better and take about 2 minutes to make). The cleanse really made me feel so good that I don’t want to go back to that feeling you get when you eat things that are heavy. And the weight loss? I was hoping to lose a couple more pounds after the cleanse and I think I did. Honestly, I haven’t stepped on a scale in about 6 weeks so I don’t know where my numbers are BUT who cares. All of my jeans fit…and even have some room to spare, including the ones that I considered my “way too tight — probably should just give up on them” jeans. Yay for that! If you’re still debating doing the standard process cleanse because you’re afraid you can’t do it — trust me, if I can do it, you can do it. And the way it will make your body feel is SO worth it! Way to go Lex! I’ve got a few trips coming up that I’d like to indulge on (Boca and Ecuador) but I’d love to try the standard process cleanse…..i might email you for some more details. I need someone to just hand me a daily menu and instructions for something like that to prove successful. Sigh. Oh, and that Jen above is of the Ward-Barber variety. I’m not sure why it didn’t sign me in properly. Hi! 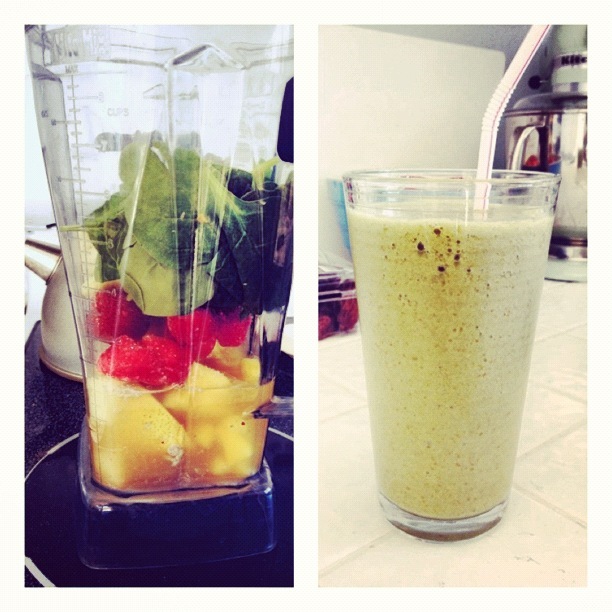 Stumbled across your blog… I’m currently doing the SP Cleanse and having a horrible time. From what I’ve heard, some things have change with the cleanse (not sure when you did it). But now, you can’t have any meats in the first eleven days of the program. Only fruits, veggies, the shakes, and an egg or so if you REALLY need it. I’m struggling. Can you recommend anything you ate/had while doing the cleanse that made you feel like you were actually… satisfied? Hi there! I did the cleanse this past May so it probably hasn’t changed since then. I also couldn’t eat chicken for the first part of the cleanse. That was the hardest part. Some things that were super satisfying to me where cooking up some brown rice and veggies (carrots, celery, parlesy, oregano) and filling the inside of mushrooms with them and baking them for a few minutes. I also made lentil soup (look on my recipes pg for the recipe) which is quite filling, and I made “spaghetti” over raw zucchini cut into noodle like strips and marinated sauteed mushrooms. Yum. At night I’d bake a sliced up apple sprinkled with cinnamon and one date cut up (dates kinda give a sugary, honey taste). For a snack, try some baked sweet potato fries. Those are super filling and kinda take care of that yearning for something salty. That said, if you’re still feeling crazy sluggish, it would be better to have a small piece of chicken or fish or have an egg than to give up on the cleanse all together. I have some friends who do the cleanse yearly but always do chicken or ground turkey the whole way through. Good luck!